Perhaps you’ve had an impromptu dance party or found yourself making the dinnertime routine into a little song. If so, you’ve already discovered that music makes many things better, including language learning. For children who need speech and language therapy, music can be essential. It is motivating, familiar, rhythmic and stimulates a variety of senses. It might have a calming effect on some making it easier to learn and listen and attend. Using music in speech therapy often gives a great opportunity to use visual cues like hand motions or gestures along with the lyrics to help reinforce concepts in a motivating medium. The repetition is also useful in reinforcing words and concepts on a frequent basis. Pair a visual with keywords or phrases. This can be a toy, a gesture or a picture. For example, when choosing animals during “Old McDonald” try to use a set of farm animals. 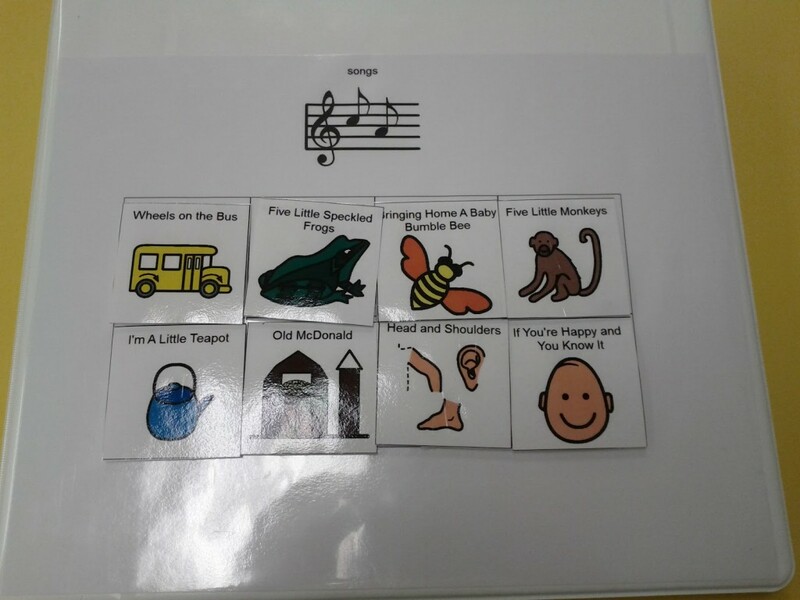 This reference will help the child learn what the song and words are about. It also helps them to engage if they cannot sing themselves. Leave a pause or space to fill-in lyrics. If a child knows the phrase, “E-I-E-I- ” try leaving a pause to encourage their own vocalization for “O.” This can be great for specific target speech sounds too. 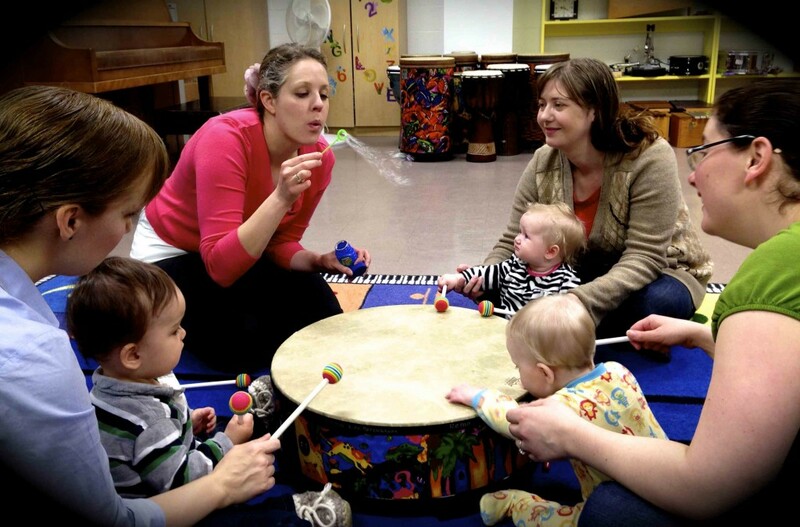 Always pause when the song approaches a specific sound to let the child fill it in. Consider gathering drums, maracas, tambourines or rhythm sticks as they are easy instruments to play (even if you don’t have any rhythm). A crafty exercise could be to make your own instruments too. Consider making shakers with different materials inside a canister to discuss: volume (loud or soft when you shake it?) or qualities (do you need more or less inside the can?). In a small group, encourage children to use language to direct the group in a song. They can tell each other what to play, deal out instruments and tell them how to play (e.g., “you play fast” or “you play loud”) and use commands like “start” and “stop.” Consider introducing members of the group with a “hello” song or leaving with a “goodbye” song. Children with apraxia often have difficulty with multisyllabic words. To emphasize each syllable and as a visual cue to say it, try a xylophone or set of drums that the child can hit in conjunction with each syllable. (e.g., “bu-bble-gum” would be three hits, one an each drum, piano or xylophone key). Using music can be difficult when the rate is rather rapid. To get music with a slower time, try a CD from apraxia-kids.net, especially made with apraxia in mind. According to the website, some lyrics have been adjusted to eliminate difficult sound combinations and enable all children to sing along. Consider making music into a listening game. With slow and clear lyrics, have a dance party or other activity but encourage children to “listen” to key words, concepts or instructions in a song. If you find yourself using music often and want to consult other professionals, try asking a music therapist about ways to incorporate specific techniques, songs or instruments into language therapy. 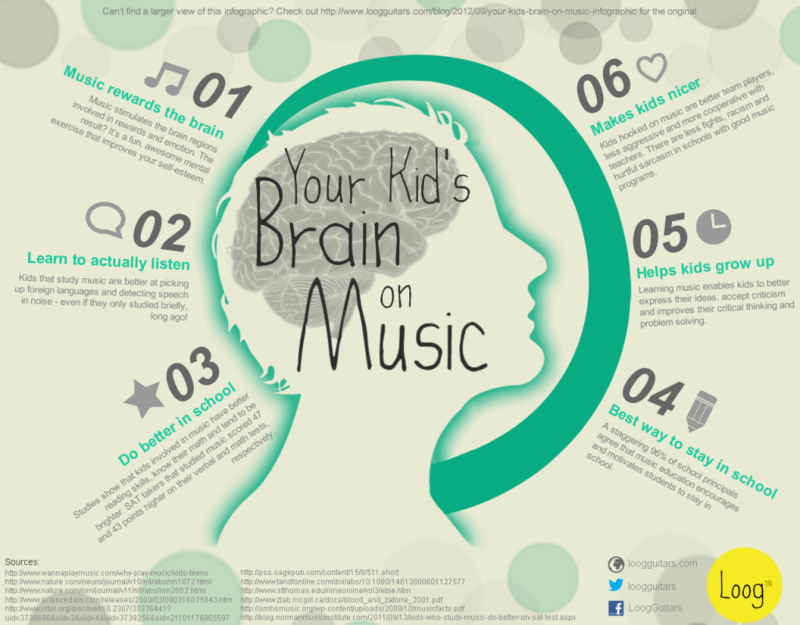 I LOVE the poster “Your child’s brain on Music”. Where might I purchase this for my music classroom? Thanks so much for sharing my ASHA blog article regarding music therapy! !